SLIM-Collaborate's new Contingency Profiles allow the enterprise to design custom risk profiles to fit various project types. Managing risk for a small, in-house maintenance release requires less buffer than a multi-year or high budget external release. Fixed price contracts are tend to be riskier than time and materials contracts. 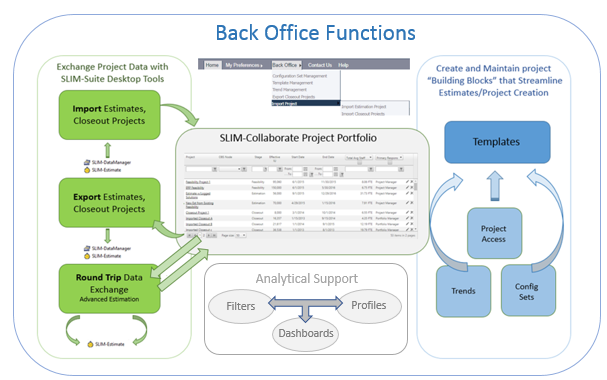 The good news is that however you model and mitigate risk, SLIM-Collaborate has a solution! Not sure where to start? We've got that handled - preconfigured risk profiles are built into your new SLIM-Collaborate site. Simply review the default profiles and deactivate any that don't fit your needs. Existing profiles are easy to modify, too! Once you've decided which contingency profiles will work best for your projects, you'll need a viable estimate to apply them to. 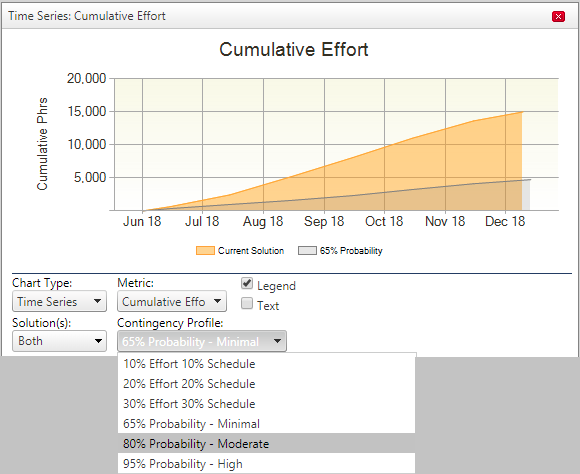 Simply edit any project in the Estimation stage, make the solution you want to work with current, then open the Contingency Dashboard to instantly calculate and compare the amount of cost, schedule, or effort buffer needed to protect against known risks like lower-than-anticipated productivity, size growth, and staffing bottlenecks or cost increases. Contingency profiles can be uncertainty-based (ones that use input uncertainty to calculate appropriate risk buffer) or fixed percentage (example, a straight 10% on schedule and 30% on effort). The choice is up to you, and loading profiles is as easy as picking them from a drop-down list! Choose one to analyze, or compare several profiles to see which one best fits your needs. Export five different types of Contingency charts and reports to PowerPoint or Excel to present your results to stakeholders. Want to learn more about risk management in SLIM-Suite tools? Watch one of our new videos or contact QSM Sales or Support for a demo or an in-depth look at this new release! And don't forget to inquire about our new, video-based training for SLIM-Collaborate! Training should fit into your work day - let us help make that happen.